On November 22nd, the EDL will be holding a national demonstration in Luton. 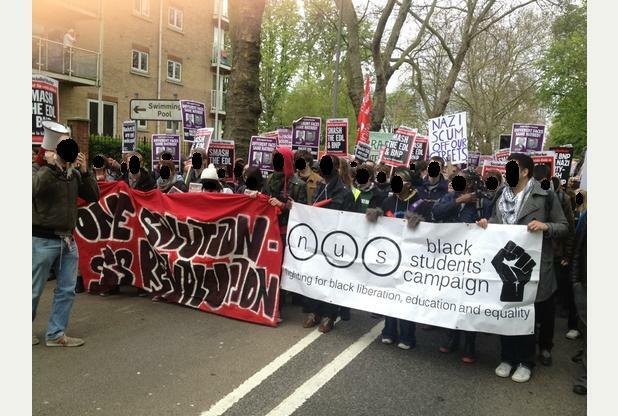 The Antifascist Network, alongside many other antifascist groups, is mobilising to oppose them. 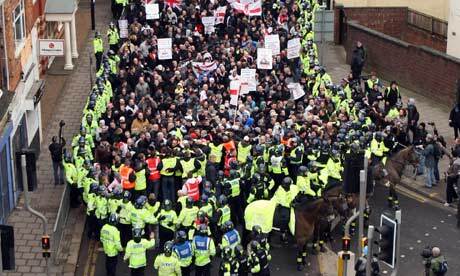 A previous EDL demonstration in Luton. The EDL were originally founded in Luton and consider it their home turf, despite it’s ethnically diverse nature. Previous EDL demos there have drawn large numbers of racists, but they have always been countered by large numbers of locals and antifascist militants. Antifascists countering an EDL demonstration in Luton. Currently, the EDL (along with many other fascist and racist groups) are gaining momentum by exploiting the horrific Rotherham Abuse case, leading to a modest surge in numbers at their protests. Now is the time for antifascists to rally together and break this momentum. Before Rotherham, they were teetering on the edge of collapse, and a defeat in Luton, their birthplace and hometown, could easily put them back there again. Also, if the reception of Tommy Robinson (ex-EDL leader) as he attempted to do an interview in Luton town centre recently (see the video below) is anything to go by, they are sure to have a crap time. This demonstration is an excellent opportunity to show solidarity between the various national antifascist organisations and unite to break the back of the EDL once and for all! Travel arrangements coming soon. Contact your local AFN group for more info. There is a list of contacts on the front page of this blog.